One unhandy office tried out the modular sofas taking over your feed, and here's what happened. Fairly recently, my office moved—and with it, moved a lot of our goods. We kept some of the cute knick-knackeries of the former office, but truth be told, we couldn't stand the idea of keeping the furniture from the old office. The chairs were painfully uncomfortable, and the tables weren't even stable. When our office manager told us that we'd be getting new modern furniture, a lot of us were filled with a certain amount of dread. Many of us, including myself, had flashbacks to times we had to put together IKEA furniture. Thankfully, our office ended up getting some modular sofa kits from Burrow—and I soon realized that DIY got a lot easier. If you haven't heard of Burrow quite yet, you should. Here's the scoop. Burrow is a relatively new company that makes modular sofa kits for the home and office. Their goal was to make customized sofas that are easy to set up, maintain a stylish midcentury modern flair, and remain comfortable enough to make you actually enjoy sitting on them. Simply put, it's what Ikea wishes they could be but can't. I was glad that the office decided to give them a try. Burrow isn't like other furniture companies. Every aspect of the sofa can be ordered to your liking—the upholstery, the amount of sections, and even the color of the legs can be chosen by you. 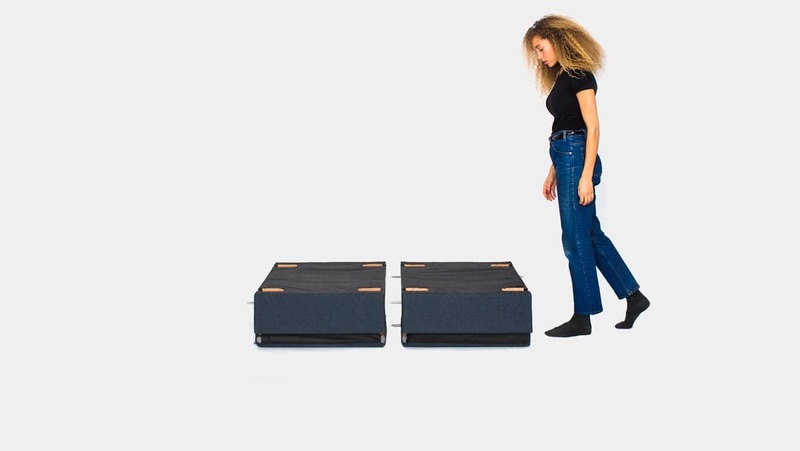 Heck, you can even order a matching ottoman if you're feeling like doing it. 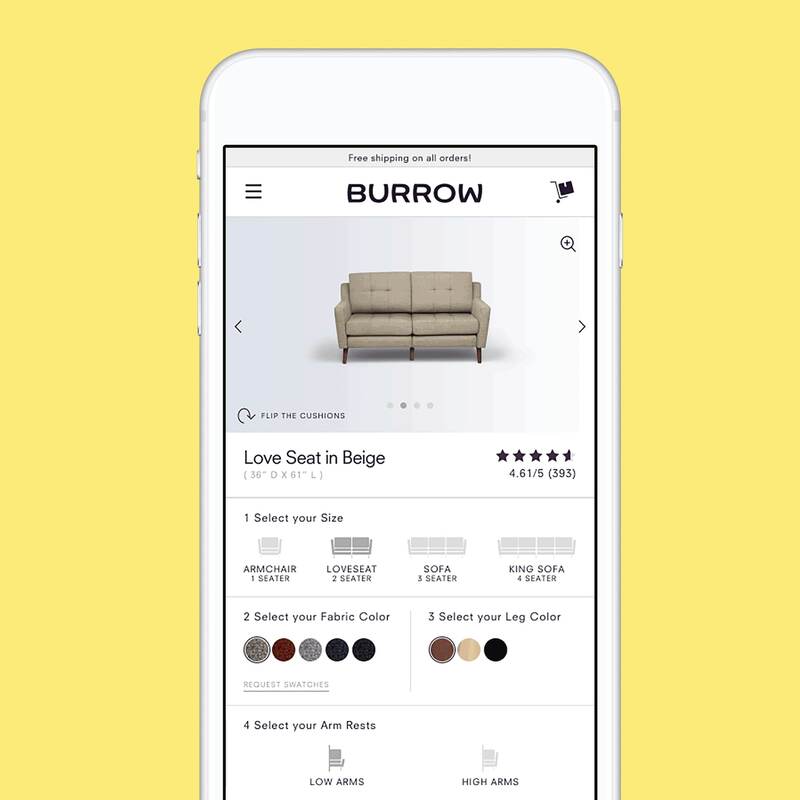 After you design and customize your sofa, Burrow ships it out to you. This makes Burrow's modular sofa designs the first sofas that can literally be mailed to your door. So, the packages came in. The packages were surprisingly lightweight and small. People who were worried about having to lift up 90-pound boxes breathes a collective sigh of relief. Those of us who have ever had to deal with the "pick and pack" portion of Ikea also felt a lot of relief. That part of the typical furniture-buying ordeal was done for us, and we couldn't be more relieved about it. We took the packages in, and quickly sorted them out. Though we definitely had some Bob Villas in the office, most of us are not adept with tools. Personally, I can use tools—just not too well, and I often get hurt in the process. There were some coworkers who were a bit apprehensive about putting together furniture. One thing that made Burrow's modular sofa kits so awesome was the fact that you didn't really need to use any tools to set them up. When we were getting ready to put things together, there were no screwdrivers, hammers, or nails to be seen. We had bought four individual seats and two couches, from what I've seen. It was time to put them all together. Putting the couches and individual seats together was a breeze. 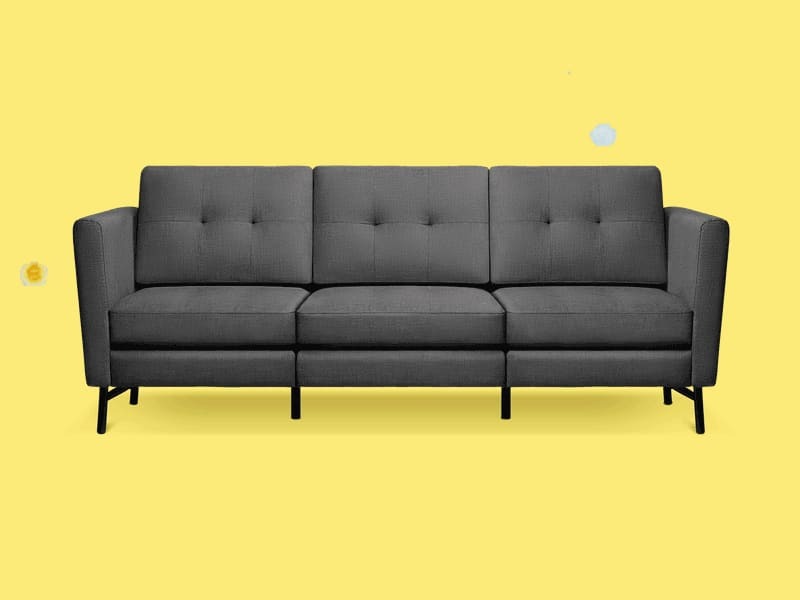 This was what really made us happy about Burrow's modular sofa kits: the setup. Everything literally just pops into place! The setup of a typical chair took about five minutes or so. Larger pieces took a little bit longer, but were still really quick to put together. People who dislike furniture assembly will love Burrow. Popping the parts into place may take a little effort, but the truth is, it's one of the easiest processes we've seen yet. After the office furniture was all set up, we decided to celebrate. Everyone went out to the local juice shop to grab some smoothies and bring them back to the office. It was a great time. I flopped down on one of the sofas, and unfortunately, so did the smoothie. After what seemed like a century, I looked at the stunned faces of my coworkers. The brand new couch, which we had just spent time assembling, just had smoothie poured all over it. I literally felt the burning glare of eyes on me... or so I thought. Our office manager then started to laugh. He grabbed a paper towel and wiped up the smoothie. The couch looked good as new; that stain-resistant fabric was no joke. Looking back, I was pretty surprised that the couch didn't rattle or shake when I fell on it. I'm pretty hefty! These couches were made to last. Now, let's talk about style. In terms of style and comfort, these sofas and seats offer up a world-class experience. The woven material that Burrows are made from is soft, but not plush. It's easy to clean, but doesn't have that cheap feel that most others did. The couches were cushy enough to sink into, but not so fluffy that you'd struggle to stand up from them. They were, in a word, the perfect combination of soft and firm. They were awesome. Though the couches were pretty neat, I still felt curious about something involving the modular sofa choice our office made. We work in a tech company and the managers at work are all about integrating tech into everything. I asked the office manager what was up with the chairs. He pushed aside a cushion and pointed to a black mass on the inside of the chair's "arm" section. I looked closer. It was a USB port. 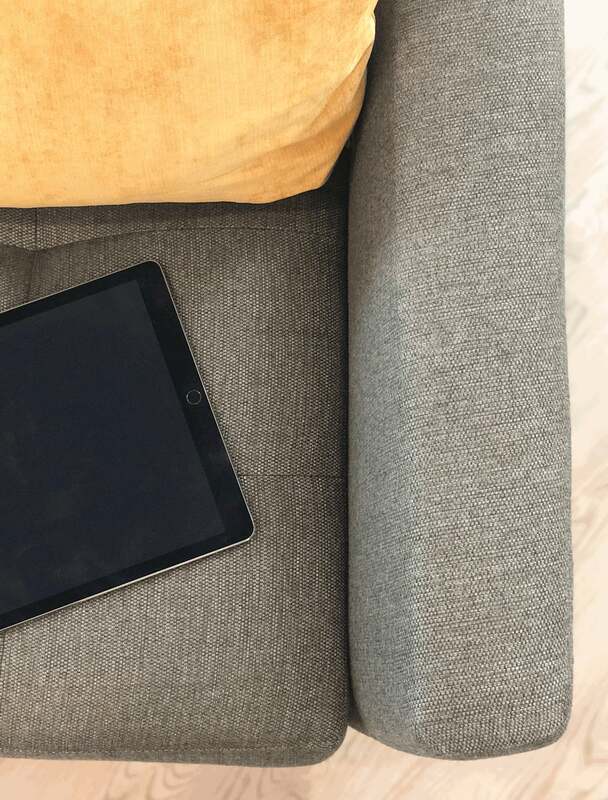 We could plug in our tech right into the couch, and reduce cable clutter! Burrow's modular couches and seating made our office feel less stuffy—and our backs feel a lot less stiff. They're stylish enough to get people talking and they were deceptively easy to put together. What's not to love?